UGEARS quiz. Contest from UGEARS Engineering Team! Which side (left or right) do you have to pull the lever to raise the flag? The winner will get any UGEARS model of his/her choice. 2. Be subscribed to Ugears Facebook page (@ukrainiangears). The winner will be selected randomly from those who will have given the correct answer via Random.org service. The term in which you can submit your answer is March 22 to March 31, 2019. The result will be announced on Ugears Facebook page (@ukrainiangears) on April 2, 2019. In order to receive the prize, the winner must be of legal age or if a minor, provide written approval from parents or legal guardians. This contest takes place in Poland, United States of America, Taiwan, United Kingdom, Germany, Mexico, Italy, South Africa, Hong Kong, Australia, Brazil, Argentina, France, Canada, Spain, Netherlands, Malaysia, India, Vietnam, Egypt, Chile, Colombia, Philippines, Turkey, Belgium, Peru, Singapore, Hungary, Japan, Austria, Romania, Czech Republic, Thailand, Indonesia, Sweden, Portugal, Israel, Bulgaria, Ireland, Pakistan, Greece, Ecuador, Switzerland, China, South Korea. The employees or representatives of “Ukrainian Gears Ltd” as well as close relatives of such are not allowed to participate in the contest. By taking part in the contest, the participant gives his/her voluntary and unconditional consent to disclose his/her first name, family name as a winner by posting them on @ukrainiangears Facebook page and https://ugearsmodels.com website. The Result of the Contest from UGEARS Engineering Team! 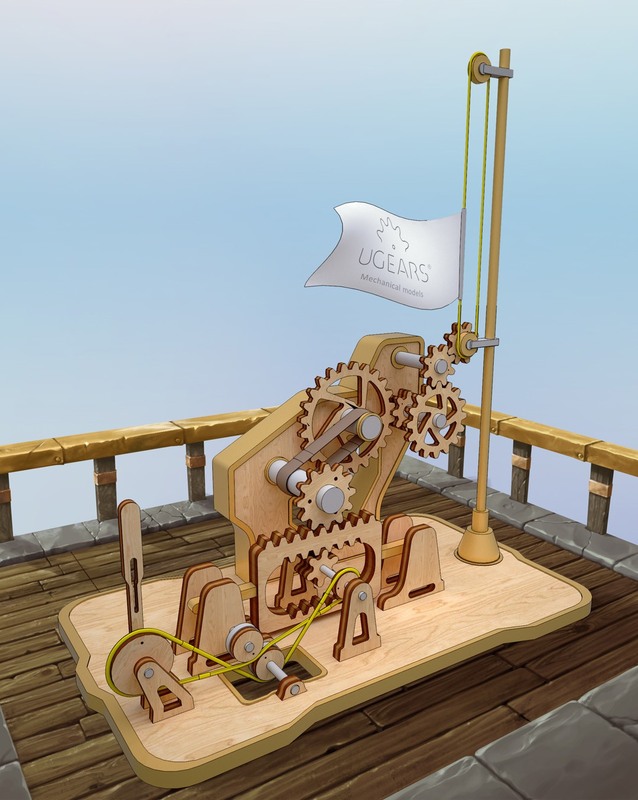 Thank you for your active participation in the contest from UGEARS Engineering Team. Today, on April, 2, 2019 via Random.org service the Ugears team have chosen the winner of the contest among the participants who gave the correct answers. Our congratulations to Simon Price, who will get any UGEARS mechanical model of his choice.